Businesses and organizations come to Caktus to build custom web applications that will help solve their users’ problems. Before contacting us, clients spend time and effort thinking through their users’ problems. But in doing so they do not always talk directly to potential users of the application. As a result, they come up with ideas for the application based on who they think the target users are rather than who they know those users are. Or, if they have correctly identified their target user segment, they may make assumptions about the ways users think, behave, or accomplish tasks. The identification of a target user segment is particularly important for an as-yet undefined idea for a custom web application. It is also useful to validate assumptions about the target users of an existing application that needs redesign. On a recent project, the client came to Caktus with a well thought-out concept, a solid definition of the project goal, and a description of a potential user base. We suggested conducting UX research to better understand the users before taking a deep dive into designing the system. Together with the client, we recruited a small sample of users for a qualitative study, in which we interviewed people who met the profile of the target user segment. The client participated in user interviews and had a direct, real-time access to insights from this research. Before the study was over, we realized that the primary target user segment for the application they wanted built should not be the group that had originally been identified, but a segment with a different set of psychographics (attitudes, motivations, aspirations, needs, etc.). This important discovery will guide the design and development of the application. Without UX research, we would have built software for the wrong primary audience. The false consensus effect occurs when we overestimate how many other people agree with our beliefs or share our behaviors. In software design and development, it happens when we assume that the way we think about how our application should work aligns with how users think about it — when we project our mental models onto our users. It’s easy to assume that users will think about accomplishing tasks within an application the same way we do. Unless we talk to users, we won’t really know for sure. And unless we know, we run a risk of spending significant effort and resources on building a system that doesn't make sense to users. On a website redesign project, the client provided initial sitemap and navigation labels consistent with the way they thought about their content. 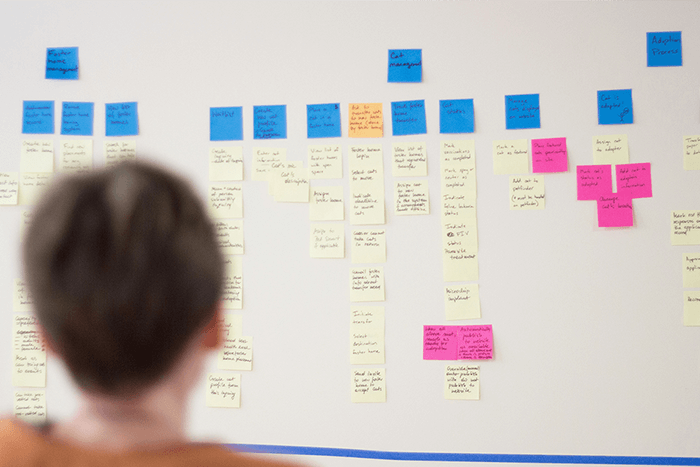 We conducted UX research, including card sorting, treejack testing, and usability testing, to define the new information architecture and the site navigation. One navigation label in particular presented a challenge with users consistently unable to locate content it was supposed to represent. In a series of consecutive user testing sessions, we were able to tease out words users were mentioning when describing that content type. We adjusted the navigation label accordingly and as a result, most users could locate the content correctly. Without UX research, the website navigation would have rendered an important section of the website content undiscoverable to most users, leading to a missed opportunity to deliver value to those users and jeopardizing the achievement of business goals. UX research may sometimes seem like a redundant effort and an expenditure that can be avoided. After all, we “know” who our users are, what they need, how they work, and how they want to use the applications. Or do we? Making assumptions about who our target users are and the mental models guiding their behavior without verifying those assumptions through UX research can be a costly mistake. A series of small-scale, qualitative studies can significantly reduce the risk that we’ll be building the wrong thing for the wrong group of people. At Caktus, we recommend including UX research on a project. We also offer UX team augmentation services to support our clients’ requirements gathering and research efforts.